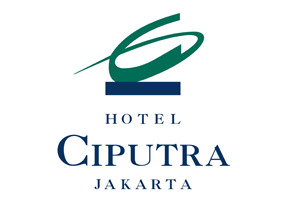 Warm hospitality and comfort are really only words but they mean so much more to us here at Hotel Ciputra, Jakarta. They are the foundation stones of our reputation and aptly reflect the proud service standards we strive to provide all our guests. We are a four-star, first class international business hotel catering to the discerning traveller representing exceptionally good value without compromising luxury, functionality and comfort. Our location is most convenient, close to Soekarno-Hatta International Airport, and just minutes from the city centre. With 336 rooms of numerous formats to choose from, our guests are spoilt for choice. All rooms are elegantly designed, richly- appointed and highly functional with a host of modern amenities and facilities to ensure you enjoy every aspect of your stay. If you’re doing business in Jakarta, we have numerous dedicated room spaces to meet most corporate needs from intimate business meetings to large group functions and banquets. 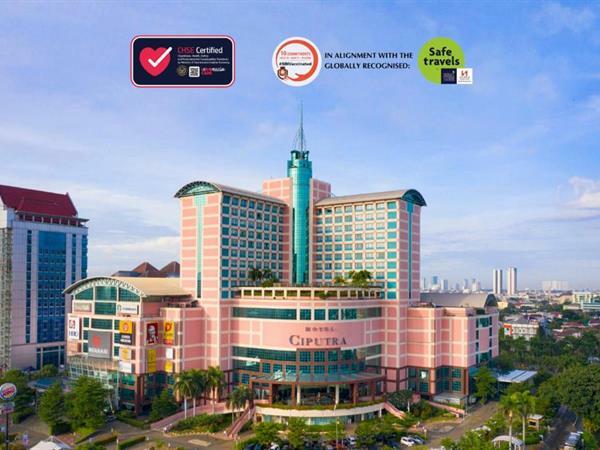 Whilst we are located only minutes from the city centre, we are also directly above Mall Ciputra Jakarta, one of the cities largest and most modern shopping malls featuring outstanding retail outlets, multi-cuisine dining options, banks, cinemas and other evening entertainment options, all adding to making Hotel Ciputra Jakarta a simply perfect all-purpose location. As a guest, your personal wellbeing is very important to us. So while you’re here, you can enjoy a work out in our well-equipped fitness centre and then perhaps relax in the sauna and spa, or partake of the traditional massage. Take full advantage of our multiple packages and special offers – we trust there’s one tailored to meet all your stay needs. Stay in touch with all the latest news in Jakarta. With 336 rooms of numerous formats to choose from, our guests are spoilt for choice. All rooms are elegantly designed, richly- appointed and highly functional with a host of modern amenities and facilities to ensure you enjoy every aspect of your stay. From 2 persons deluxe rooms through to the pinnacle of luxury, our presidential suites, there’s a selection of our best hotel room in Jakarta. Hotel Ciputra, Jakarta proudly offers several concepts in contemporary dining in Jakarta for our guests. Here at the Swiss-Belhotel Ciputra, Jakarta, we strive to exceed our guests' every service expectation. So fittingly, our hotel facilities in Jakarta are first class. Your indulgence, personal wellbeing and peace of mind are ‘top of mind’. Jakarta is the country's economic, cultural and political centre. It is the most populous city in Indonesia and in Southeast Asia, and is the twelfth-largest city in the world. It is a modern city with good infrastructure, buildings, parks and museums.